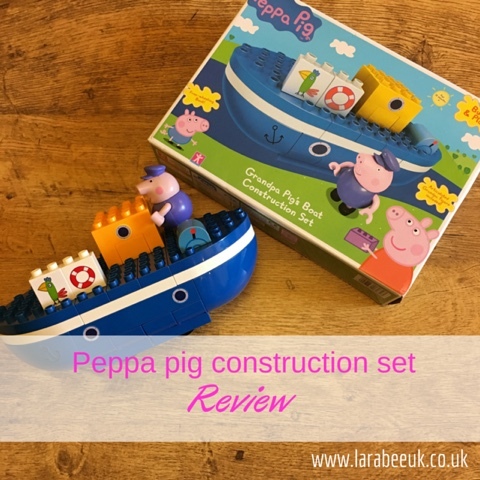 When we were recently asked if we'd like to try a product from the Peppa pig construction range, I must admit I did think twice, however, I asked T and he said he'd like to. At just 4 I thought he was too old but in fact I was very wrong and he has really been enjoying playing with this toy. The range is found in most toy shops and starts at £9.99. Suitable for ages 18months +. 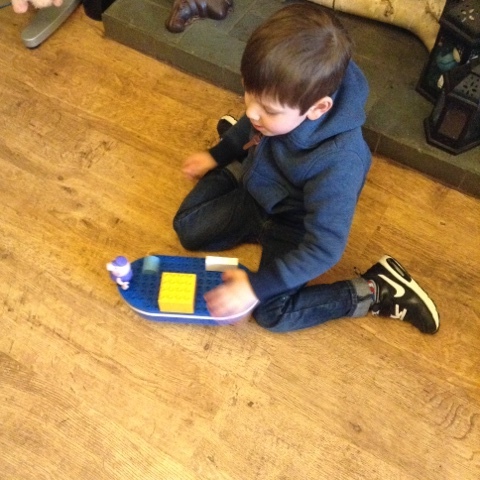 We were sent Grandpa pigs boat to review, which went down very well! 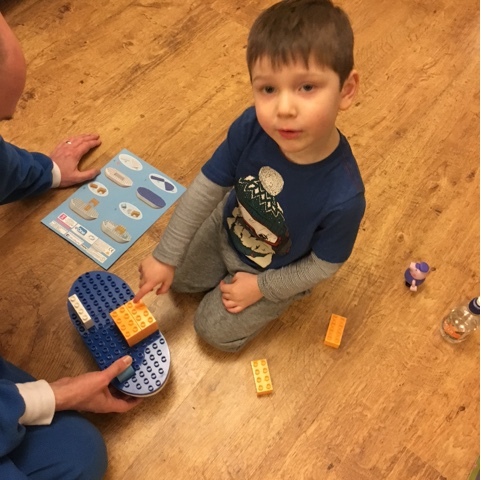 The blocks are very similar to duplo and can, in fact, be easily used with both duplo and the smaller sized mega blocks. 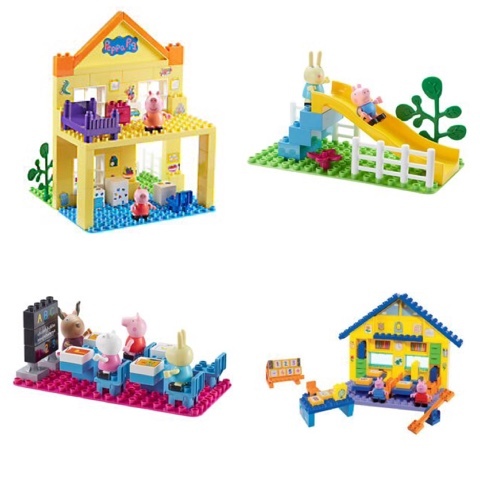 The bricks are high quality, durable plastic and Grandpa's boat comes with an array of stickers to use to decorate it. 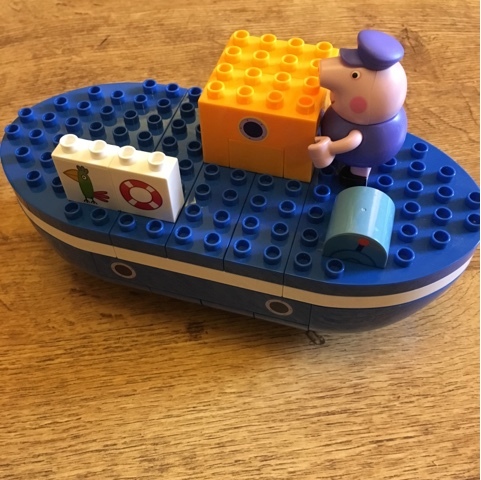 T has really been enjoying playing with the boat and Grandpa pig character, the boat is on wheels which makes it easier to play with, it's been played with traditionally, used with the batman duplo, raced against cars and with his other boats forming an unusual armada with Grandpa pig at the helm! T has enjoyed playing independently with the Grandpa Pig character too in the bath and alongside other character toys. The boat now is taken up to bed each night and set next to his bed, so I think you can say I was very wrong that he would be too old for it. Disclaimer: we were sent this toy free of charge in exchange for our honest review, all opinions are our own.